Please check out my other ebay auctions listed right now. 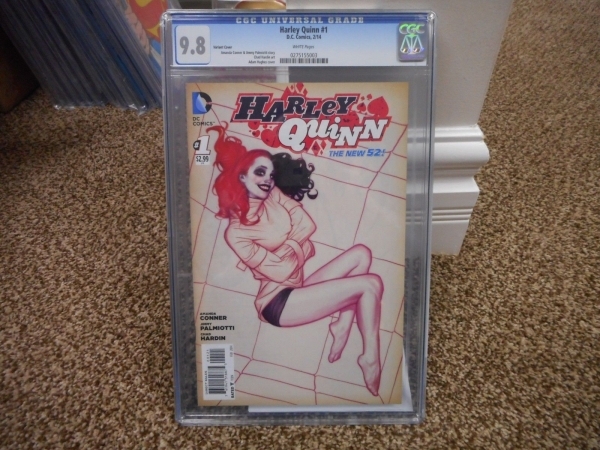 You are bidding on the cgc graded book pictured. The cgc case is mint. Shipping will be $7.95 anywhere in the United States and will include delivery confirmation and insurance. Winners of more than 1 auction will pay the highest single shipping total and then receive a 50% discount on all other shipping totals. Shipping to Canada will be $27.95 air mail with insurance. Shipping to Mexico will be $29.95 air mail with insurance. Shipping anywhere else in the world will be 37.95 air mail with insurance. All items will ship with insurance. If you are in the Millington Michigan area stop in my store where I have been in business since 1990 selling comic books, toys, cards and many other collectibles.